The hilly territory near Passo Corese (RI), where the ancient city of Cures Sabini is located, is an area that, like many of the Italian territory, underwent an indiscriminate building expansion in the years of the economic boom. This inevitably contributed over time to the loss of information regarding the interaction between the geological setting of the territory and the anthropic activities that have affected it. All this, together with a lack of targeted systematic archaeological investigations, has prevented reaching a knowledge of the ancient city and its territory, losing the proofs of its birth, its development and its decline. 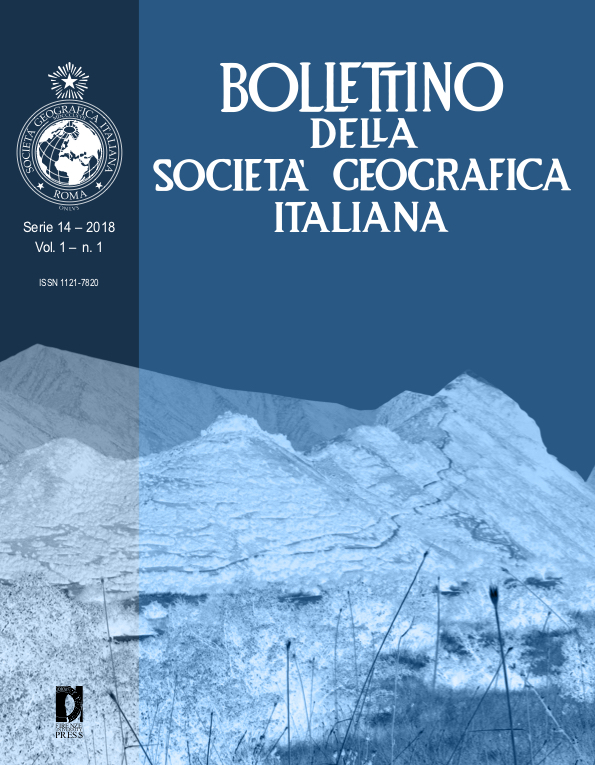 Through the analysis of historical maps and the study of some literary sources dating back to the first and second centuries AD, using data of the geological-structural context, an attempt of reconstruction of the changes occurred in the environment in relation to the occurrence of natural phenomena (i.e. earthquakes) and their interrelations with the development of the city and with the anthropic activities has been carried out. The narration of Tito Livio of a “ex Sabinis terrae motus” seems to become a pertinent reflection, allowing to hypothesize a connection between the progressive abandonment of Cures Sabini and the earthquake of 174 BC, and between seismic phenomena and seismogenic structures. The latter, responsible for the strongest and most perceptible earthquakes in the analyzed area, not necessarily occurred within it. This therefore allows the reinterpretation of the historical narration in the light of new assessments’ methods, using the comparison with the Mercalli-Cancini-Sieberg (MCS) and Richter seismic scales and making possible evaluations of strong earthquakes’ recurrence intervals that, although not free by uncertainty, can trigger thoughtful reflections to dating the period of urban contraction of Sabines Cures in a natural context devastated by the earthquake 174 B.C. indeed.